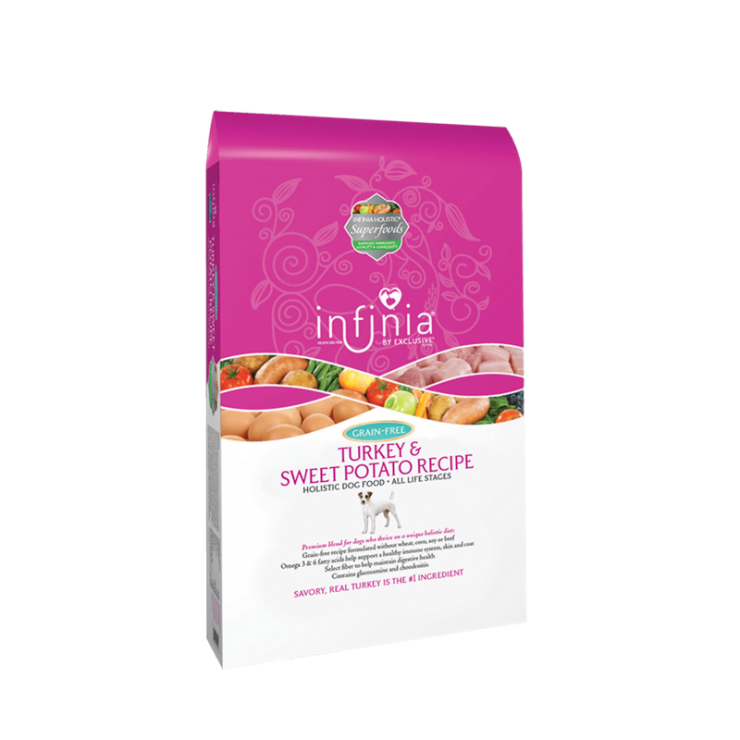 Infinia Turkey & Sweet Potato Recipe is a holistic nutritional formula that knows no boundaries. Flavorful superfoods, savory turkey and chicken meal, and a little extra love go into every bag. In fact, it’s so full of goodness, there’s no room for unnecessary fillers. Every single ingredient works together for your pet’s health and well-being. e result? A recipe with ingredients to support immunity, longevity and vitality – healthy immune system, healthy digestive system, active bodies and beautiful coats. Just look for that happy wagging tail!